The After Party celebrates the Jewish community’s inspiring work raising funds for the Federation’s Campaign for Jewish Needs, the annual fundraising campaign that ensures our community’s vitality and vibrancy in the year ahead. Guests will participate in the BIG reveal to hear the 2018 Campaign total, and celebrate Chanukah with food, music, and more. The community will also celebrate Barry Guttman of Beachwood as he receives the Amb. Milton A. and Roslyn Z. Wolf Young Campaigner of the Year Award. The award recognizes leadership, dedication and hard work by a young leader on behalf of the Campaign for Jewish Needs. Last year’s Campaign raised $31,172,731 from over 10,000 donors, in addition to a $500,000 match through the Double Your Impact Match. This year’s total is expected to exceed that amount. The Cleveland Jewish community is comprised of 80,000 people, and the national and international reach of the Federation encompasses tens of thousands more. Through the Campaign for Jewish Needs, people’s lives are changed for the better in Cleveland, Israel, and 70 countries around the globe. 91 cents of each dollar donated goes directly to the community for programs and services. Registration cost is $15/person. 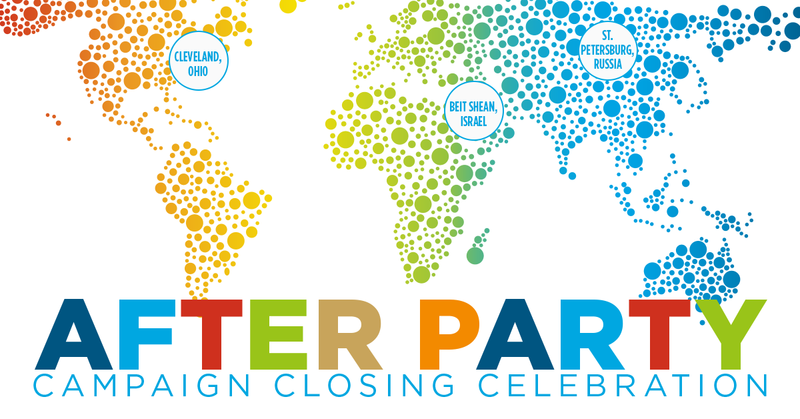 To learn more or register for the Campaign Closing Celebration, please visit www.jewishcleveland.org, email campaign@jcfcleve.org, or call 216-593-2900 x740.